So today has been very long. Sunny and I took a night train from Prague to the town Auschwitz is located in. It was hot and stuffy and I didn’t sleep at all because there were six of us crammed in a car. It got even better when a Boy Scout troop went to sleep in the hallway so we couldn’t get out. We had to flag down the conductor and make him stop it again so we could get off. After that we had to walk to the hotel at 5:30 in the morning. It sucked but we had to do it cause we had no Polish money for a cab or bus. But we made it and got checked in. The original plan was to sleep till 10 then visit, but we were so tired we slept till 11 and then went to the mall where we could actually get money. It was crazy. But we made it and it was azong to see. I’ve studied this camp for 11 years so it was mind boggling to see. We only saw camp 1 because we spent so much time looking around at the exhibits that there wasn’t enough time to get to camp 2. But it was very moving. 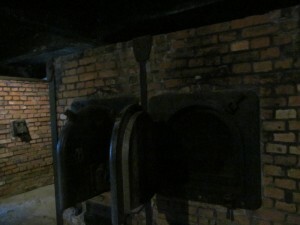 I can’t describe what it feels like to walk into the remains of a gas chamber. The utter chill that goes down your spine as you walk under the gate saying “Work Makes You Free* or staring at the execuction wall. 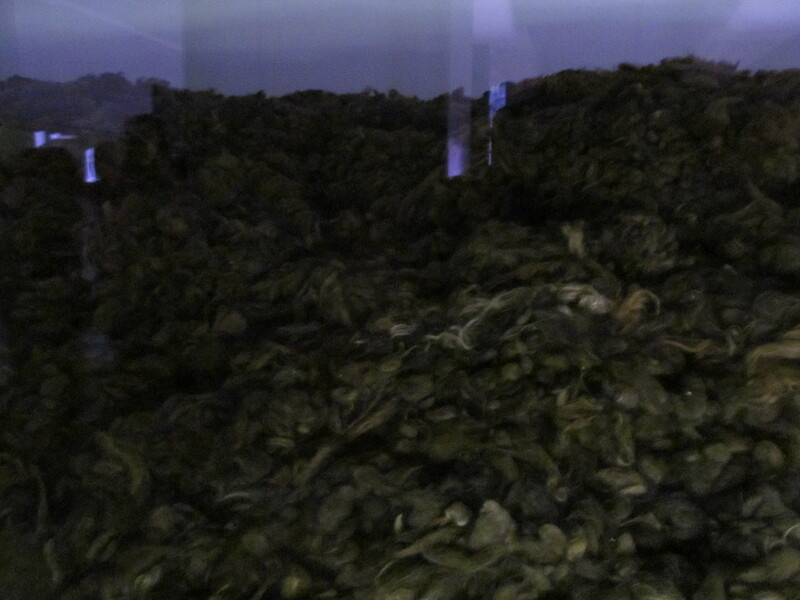 The shock of walking into a room still filled with human hair and being told there used to be warehouses of it here. 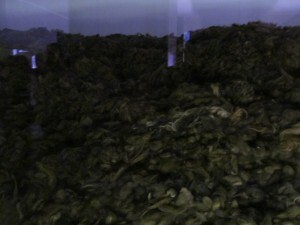 Or seeing the remains of gold fillings for teeth, of the massive list of the book of the dead. If we had time, I would go back and see all of camp 2. But tomorrow we’re headed to Warsaw so now I have a reason to return here again someday. Hello again all, just checking in to prove that the amazing Sunny Wen and Jennifer Hight are still alive and well! Last time I was on was back in Paris, and quite a bit has happened since then. 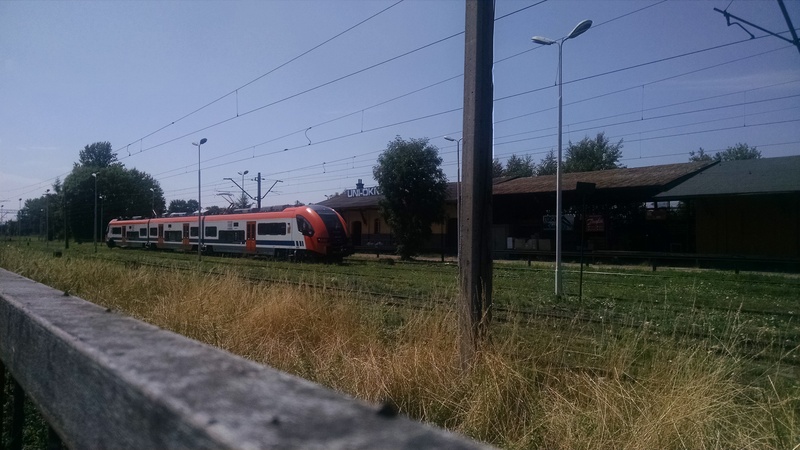 We spent nine hours on a train to reach Berlin and it was brutal let me tell you. The first five hours were alright even though we were delayed due to cows on the road. Stupid French cows. But Berlin was stunning. The city was beautiful, and very clean. Sunny was wondering about how new everything was and apparently was surprised when I informed her it was all less that seventy years old because of WWII. Even the trees there are very young because the Americans blew the old ones up. We took a walking tour of Berlin because we were only there a day and it was increadible. It was basically a tour of WWII throughout Berlin which I enjoyed because it is my focus as a history major (a little part of me is still sad Germany doesn’t offer history study abroad…) ad I pestered the guy with questions. He was also very sweet, he kept making sure my bum leg wasn’t hurting and said if I ever needed a rest to let him know. There was a lot of strange history in Berlin. From the shopping mall and kindergarden over Hitler’s old office, to the patched up WWI and II memorials (from the bullets), everything was scattered on top of each other. After that we headed to Prague which is a beautiful city. It remained mostly in one piece after WWII so many of the sold buildings have survived to today. That means walking around we got to see several magificent cathedrals and many old medieval buildings such as the clock tower. Today Sunny and I went with a tour group up to the Prague Castle. It is the largest castle in Europe with three different churchs standing inside of it. The main cathedral is so massive it was only recently completed in the 20th century. The castle itself is made up of over twenty different buildings all combined into the massive structure that looks out over the rest of the city. It is simply a breathtaking view standing up there looking out over the hills surounding Prague and I was quite content to stay there. Today is my second day in Paris, and it seems fine. The people are nice enough but it is difficult communicating when I don’t speak the language. 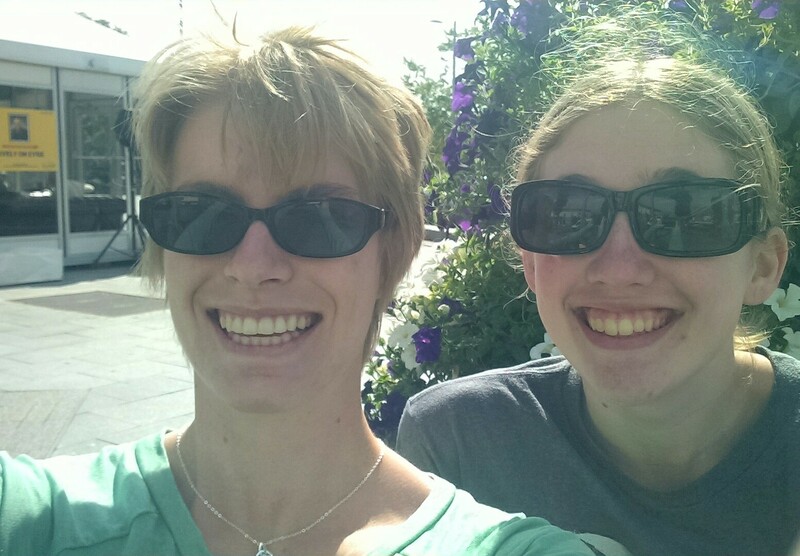 Today we went on a walking tour which was rather fun. It was nice to see the big sights like the Eifle Tower and Notre Dame. We spent some time in the French military museum today after the tour and it was interesting. Not sure what we read since I don’t speak the language. Our poor waiters have to deal with Americans who have no idea what is happening. I do feel bad for my friend Sunny. She’s always ready to go to the next thing, but due to my ingury I just can’t. I’m usually done for the day at 4 due to pain while she’s ready to still be going. Even worse for her, I am now exhausted. I’ve done three weeks of constant travel and just want to rest right now. Like, a day spent sleeping sounds amazing. I do recognize this makes it harder for her to do stuff. But it doesn’t change the fact that I am very worn down and need to take it easy for a while. We’ll see how it all plays out. Well, my study abroad classes are done but I’m not. 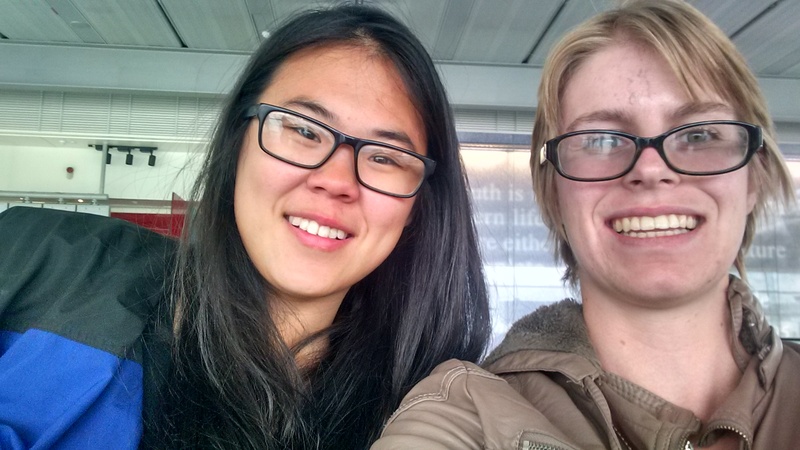 My friend Sunny and I are currently in London which was an adventure. Turns out Ryanair sent us the wrong information so we missed our first flight. After a panic attack or two later we figured it out and got to London. Yay us! After that we had to travel to London itself. We were a couple hours out in some god forsaken field meaning we hit London at 10:30. After that we had an hour and a half walk to the hostel. Eventually we gave up and took a taxi. Long story short, we got in at midnight. Today was better. We had High Tea for brunch (because we slept through breakfast) before going to the British National Museum. It was gorgeous. We spent four hours there and still didn’t see everything. I loved the medieval history room. My only problem came after an hour and a half of Greek urns. There are only so many I can watch before my eyes glaze over. But the rest was awesome. Tomorrow we’re headed to Westminster Abbey which will be great! Not much has happened since the Aran Islands. 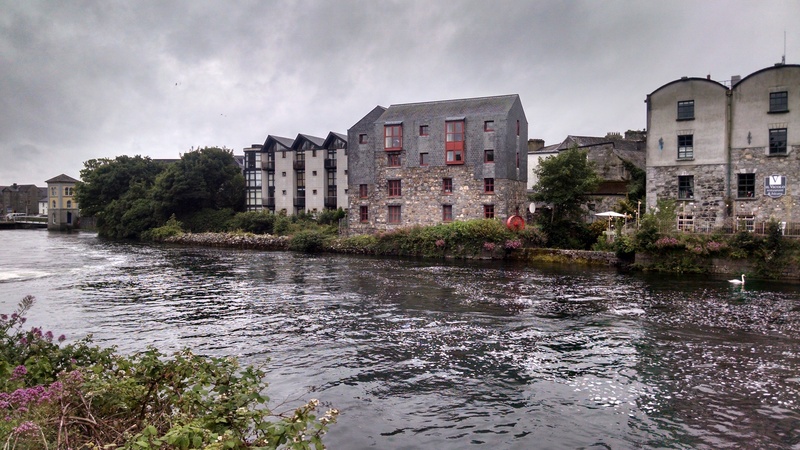 We’ve stayed in Galway and toured around here. I went shopping today and got a cute tank top that I can wear tomorrow so I don’t have to dig through my laundry. Other than that it has mostly just been eating. 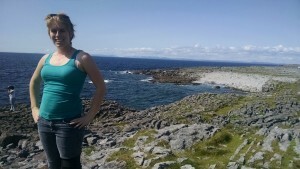 Today I spent the day in Galway some more. The fabulous Courtney Richardson came up for the day and we hung out mostly in the morning. I introduced her to my class, and embrassed her in the middle of Eyre Square. I just clung to her wailing about how I’d never see her again there while everyone just watched and she tried to get me to stop. Good times. 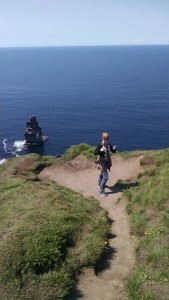 Added to that, I believe I have shown that Ireland is better than England because of how awesome everything here is! She better write about this on her blog or I will be quite cross. Also today we wathed Gaelic football in a pub. It makes no sense. Sometimes they carry the ball, sometimes they dribble it. And every now and then they throw it or something. Not sure why. But hey, I got to see more football. While watching I had my first shot of Irish whiskey. It tasted like death so I had a sip and refused to touch the rest of it. Nothing should be that horrible. Except math class. Tonight we had dinner at the King’s Head Pub. The pub was built on the spot where Charles I of England was executed on the order of Cromwell. Turns out the order was sent only to Scotland and Ireland because they didn’t think the Englishmen could kill their king. But the Irish had no problem apparently. I love this country so much. Murder a king in Galway? Awesome! Let’s drink alcohol here to always remember it. I only have two more days here, and they I travel onwards into London. So that will be a fun adventure! So for the last portion of my trip, my class and I have been staying in the lovely city of Galway. I personally love it. It is beautiful. It looks like a traditional Irish village but it big enough that there is always something fun to do. Personally I’m just excited that I get to run around in a really cool city and have lots of fun. I like it even better than Dublin, which is awesome. Ruins! 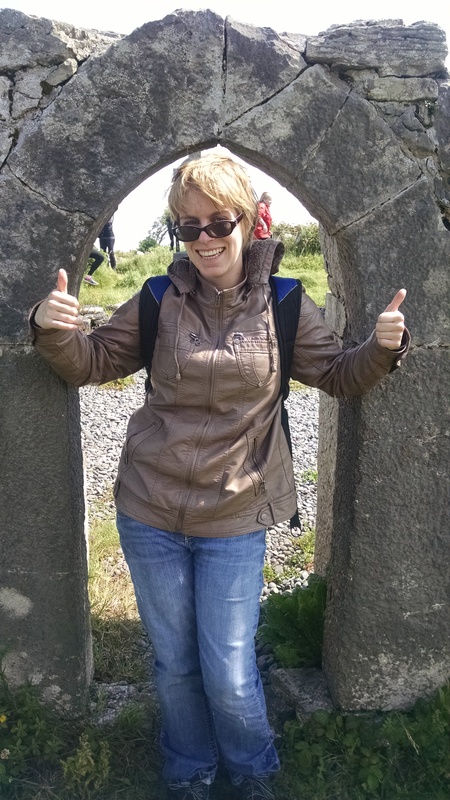 Wonderful, beautiful 7-8th century ruins of the monastic community that once lived on Inis Mor! OHMYGODITWASAMAZING!!! I may or may not have run around the ruins like a hyper active six year old yelling at the top of my lungs about the great historic treasure we were seeing while everyone else stared at me like I was insane. But hey, it got my mind off the ferry ride. Now I should probably describe the island for you all. Inis Mor is a god forsaken (get it? Cause of the abandoned monastic community?) chunk of rock off the Irish coast. It’s only ten miles length wise, and two across. The soil was created by the first settlers who made it out of seaweed and sand so they could live there. Hearing that, I began to question the sanity of these individuals. Ireland is just an afternoon boat ride away. You can see it from the island. And these people chose to stay there? Crazy. But the view does make up for it. All around the island are these stone walls. At first we thought they were for farms, but they’re not. The island is so rocky that when farmers were planting their fields, they kept creating piles of rocks. Unsure of what to do with them, they then created all the walls we saw. And one of the most impressive walls is the ancient fort: Dun Aonghasa. Built in the early broze age, it is the oldest fort in all of Europe. To get there, we had to climb straight up a mountain. I went nice and slow not to stress my leg and it was beautiful to look out over Inis Mor and see the landscape stretching out. The view at the top was just as spectacular as the rest. The fort once was away from the cliffs, but the years have eroded it so it hangs off over the edge of one. Now, you may be wondering why I look so ridiculous in this picture. The reason is simple. At the top of the mountain, gale force wind hits you. It knocked me back a couple of feet when I first got there. The entire time I was slanted sideways into the wind. It really made me miss my little brother Spencer. He’s about a foot taller than me, so when we go to places like this he is my babysitter. His job in high wind conditions is to keep a firm hold of my hood so I don’t get blown off over the cliff. Without him there I had to make sure I didn’t get knocked over the edge. It was a great little day trip. And the ancient history I saw made me ridiculously excited. Seriously. 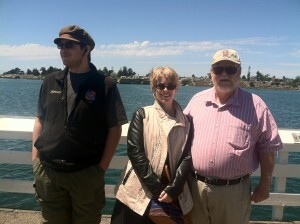 I was the most excited person once off the ferry of doom. I would love to got back there some other time when it is not super windy and spend more time poking aroung Dun Aonghasa and the surrounding shops. Yesterday we spent the evening in Cork and it was alright. 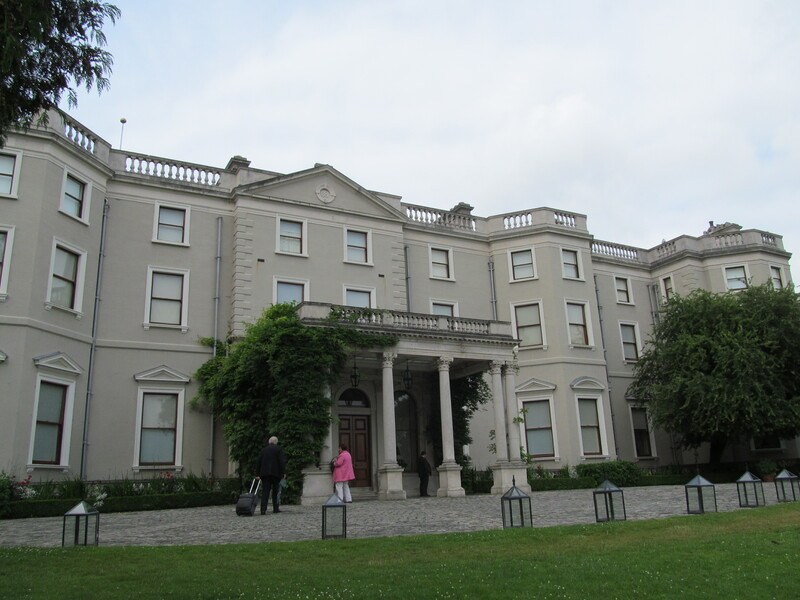 The morning was spent going to Fota House, another Big House for my class. I’m not going to lie, all the houses are beginning to blur together in my mind into one confusing shape. Pretty soon I’ll need to rely on my blog posts to keep track of them all. After that I spent the day walking around Cork with some kids from the class. 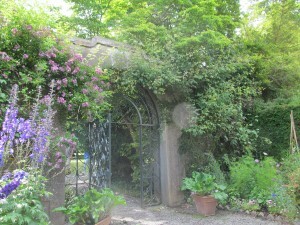 A couple others went to Blarney Castle to kiss the stone, but I decided not to. Ok, truth is I was told not to. Jerry, our bus driver, heard I wanted to go and decided to have a word with me. The stone is at the top of a castle, so lots of stairs with no handrail. Added to that you need to be picked up and held up to the stone, which works for everyone else. Not so great with a knee injury. So I looked around Cork and had fun there instead. It was a pretty city. The only downside was that it smelled like fish everywhere. Other than that it was great. We woke up early today to head over to Galway. 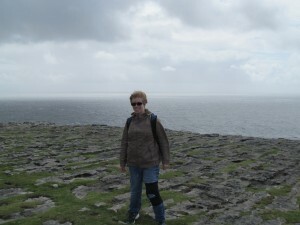 Our first stop was the Cliffs of Moher. I can’t actually describe how amazingly beautiful it was. The sight of the cliff face dropping into the sea under the bright blue sky was breathtaking.The walk was a little difficult for me because of the stairs, but I managed to get up there. There was a hiking trail that we all followed. It led across the cliffs so we got some spectacular views and pictures. The one I’m on is a small outlook. It was down an incline, so I had to slide down slowly because walking seemed like a bad idea. Then I just stood up, took the picture (which looks amazing) and crawled back up. My teacher, Gill, was complaining that someone with a torn ACL shouldn’t be that close to the edge. We spent a solid two hours hiking around near the cliffs. After that it was back in the bus and a great bus ride to Galway. We went along the coastal road and got to watch the ocean and see all the houses. 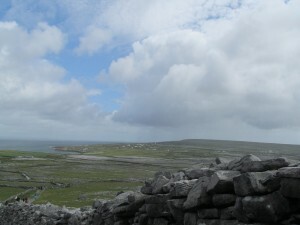 There are remains of castles every where on the western coast of Ireland. Even better was the fact that this section of coast in my last picture is unique only to this section of Ireland. According to Jerry, it was caused in the last Ice Age and years of isolation have kept it pristine. No other place in the world looks like this. Following the bus ride we checked into our rooms at Galway. We’re in on campus apartments in the univeristy dorms (I think its Univeristy of Galway). Everyone else has a single room, but Luaren and I have to share. Poor Lauren. I can’t complain about the rooms. They seem arlight, even if they are a bit dusty. My alergies will be kicking in tomorrow. The only issue so far is that we’re outside of Galway. To get into the city, we take the school shuttle which stops running at 7;30 in the evening. Looks like we’ll have to keep our trips pretty short then. But the city looks nice. It’s less overwhelming than Dublin and not as sleepy as Waterford. So it should be a good place to end the trip. After six days I’ve finally left Dublin for a while. The last day there was spent going to the National Museum and Art Gallery. They were amazing, but Shelly was my babysitter to make sure I returned to the college in time. The museum was impressive. 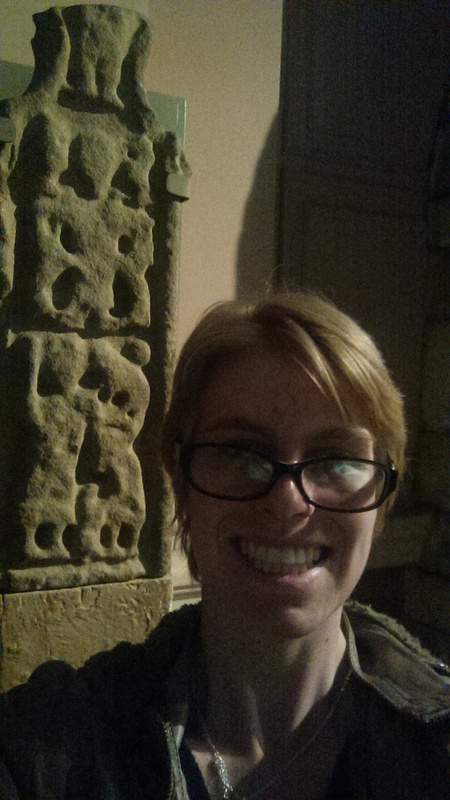 It focused primarily on on medieval and neolithic Ireland, which I enjoy. Poor Shelly had to listen to me gush about the gorgeous pottery remains from 100 BCE. Today was mostly spent on thebus. 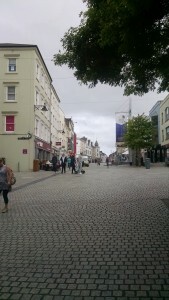 We did arrive in the city of Waterford which is a cute little place. 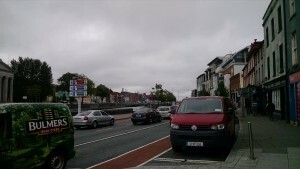 It’s the stereotypical Irish town and its very sleepy. Everything closed at 7, so I returned to my room and listened to a man play the bagpipe outside. My only issue is the WiFi doesn’t want to work well with my laptop. So I have been using my phone. Not the end of the world, what’s traveling without terrible internet connection? 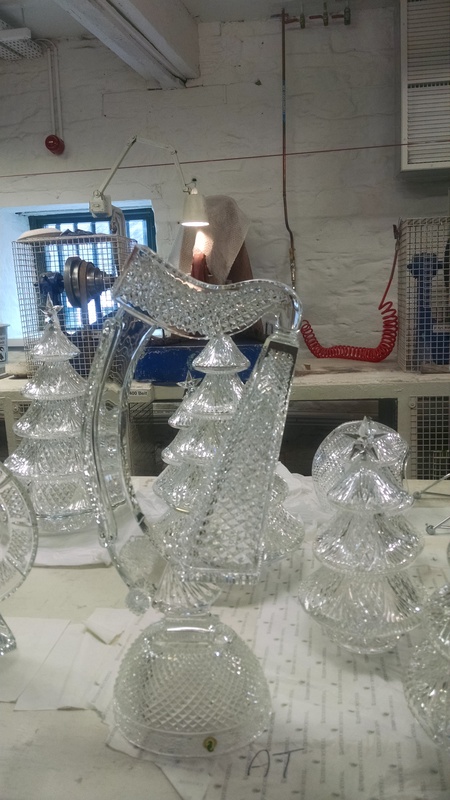 Our big trip today was atour of the Waterford Crystal company. While gorgeous, it isn’t something poor college kids enjoy usually. Especially seeing how I can’t buy anything there. But tonight’s fun happened at a pub. I recalled Sam and Shelly with the fictional criminal exploits of Jimmy and Cauleen,whose life I plan writing a book on. It got ridiculous and the waiter kept checking how many beers we had been drinking. Turns out I made up the weirdest story ever while drinking soda. Waterford isn’t ready for my brand of crazy. Tomorrow I’ll write about my adventures in Cork. Hopefully the WiFi there will work out so I don’t need to type with my thumbs again. Hello again. I know there has been a while where I haven’t updated but that was because we were so busy here. Luckily, I have some free time today so I was able to update. My first day with the whole group went well. We went to several locations throughout the city of Dublin, like St. Patrick’s cathedral. Sadly, while I did take pictures I don’t have them. My memory card for my camera decided to have an error today so I had to reformat it erasing all the pictures. So instead I will simply be copying some pictures from Google and claiming them as mine. There are a couple other places this happened as well sadly. Anyway. St. Patrick’s was amazing. It is the second oldest church in Ireland and we spent quite a bit of time there. I seem to have a theme of going to cathedrals in religious countries. But the highlight of the tour was our tour guide Sean and the bus driver Jerry. They spent the entire time arguing with each other and teasing each other. Several times Sean would blame Jerry for something silly which always made us laugh. Following the tour, we went to our housing for the first time. We are staying in Marino college which is just outside of Dublin. To get there, we need to take a bus into the city center which is always a joy. Anyways, I am staying with Lauren who seems to be a pretty nice person. We’ve only known each other for two days, so that opinion may change. The dorm itself it pretty small. We’ve only got two beds and desk so we will be getting to know each other very well. The shower is all the way down the hall. 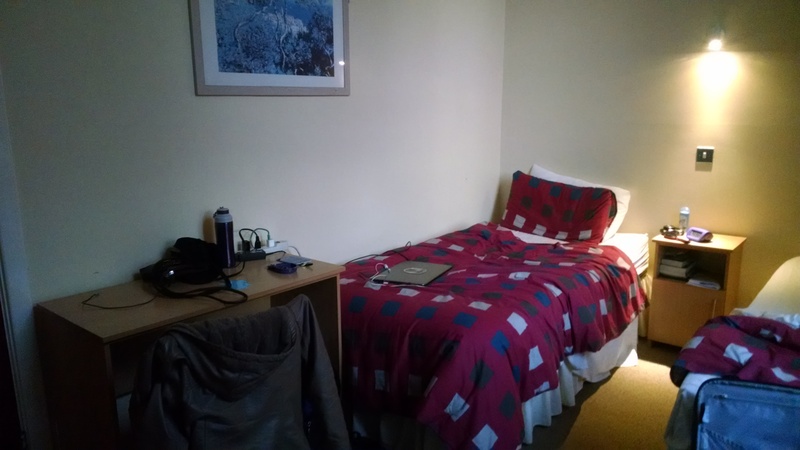 It’s not so much as a dorm room, as more of a hostel really. Lucky for us, we have an amazing view of trees and there are bright gardens throughout the place. My literature class only has eight people (the professor included) so it is a nice group to travel with. Not to big, but some choices on who to talk to. 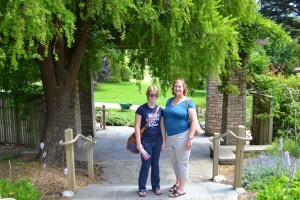 Our first day we went to visit Farmleigh House, which is in the middle of no where. Seriously. We had to take the bus into the countryside and walk across Phoenix Park. That’s just a fancy name for a really, really big field. While a gorgeous walk, it still took forever. A good half hour later we left the fields of Ireland and finally reached the house. Now, I don’t have pictures of the inside of the house but that is not because of my camera. It is due to the fact that it is prohibited to photograph the inside because it is still an offical building used by the Irish government. Several of the rooms were closed off to us because of some government meeting, so we got to see the billiard room which is not typically shown. It was an impressive building. Everything was fancy. This was Downtown Abbey on steroids, with imported Venitian lamps and massive marble statues everywhere. Oil paintings decorated each wall, and 12th century tapstries were in the dining room. 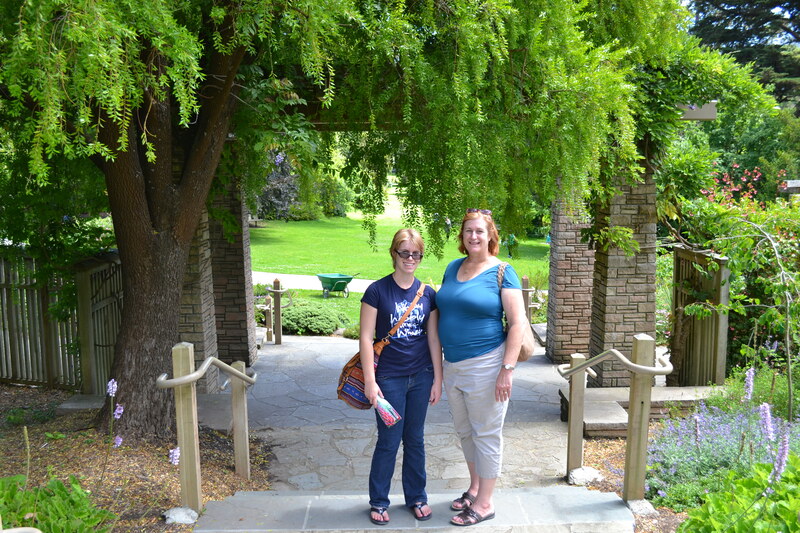 Outside were some amazing gardens, and what blew my mind was this was a country vacation home. The townhouse was even fancier in Dublin. I’m attacking a link to my blog for my Literature class here. In the blog I talk mostly about how this style of house was shown in the books we read for the house, so if you are intrested in looking at my homework here it is: https://jenstravelsacrosstheworld.wordpress.com/. Don’t worry, after the class is over I plan on using it to keep everyone updated on my travels across Europe so it won’t go to waste. Also, if you have any comments or anything to add I would love it. It will help my homework. 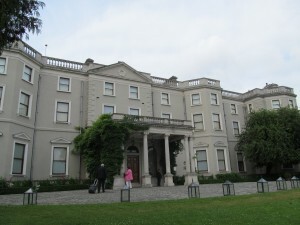 After we left Farmleigh House, my school group split and we traveled down one of the shopping streets. 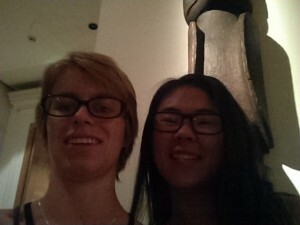 It was rather fun, and we got to eat at a cool African resturant which served chicken wings. After that we got back to the bus and headed back to Marino where we all fell asleep and stayed down for a while. Today was rather busy though. Its started out nice and early at Kilmainham Gaol. Sadly, even though I took pictures there ones were destroyed by whatever my camera decided to have a temper tantrum about so there are none for us to enjoy. Instead I will describe it to the best of my ability. It looks like a stereotypical hail built during the early 1800’s. Long narrow hallways with tiny little cells. Those cells were supposed to hold only one person, but sometimes held up to five or more. The common areas (the halls) were where the women and children stayed when they were in prison. From 1845-50 the population of the jail skyrocketed as the Great Famine broke out. People would break into the jail because it meant they could get fed. Sicknesses were very common and eventually a second jail had to be built in Dublin to handle the numbers. This jail was primarily used for political prisoners during the various Irish rebellions. The leaders of the Easter Rebellion in 1916 were housed here before they were executed. We visited the execution site and heard the story that one of the men was so badly injured in the rebellion that the British had to tie him to a chair to shoot him. Don’t see how that would backfire England. The news got out, and this turned Irisih opinions against the British. This was what led to the War for Irish Independence, so it is said that spot changed Irish history forever. 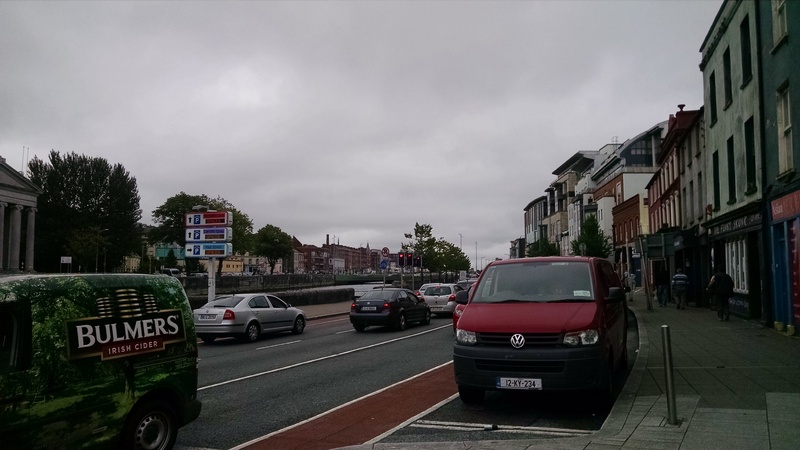 Stories like these are very common throughout Dublin. I can understand why they wanted to leave the Empire very well now. After Kilmainham Gaol, we were taken somewhere much happier. The Guiness factory. Again, the photos I took were gone but a couple survived because I took them on my phone or they were email to us by the factory which was nice. 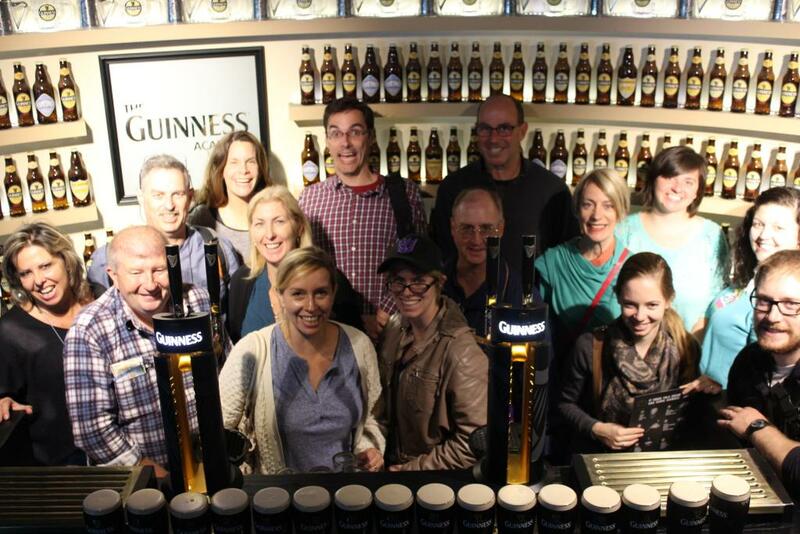 Now, this was a self guided tour of how Guiness is brewed. There are seven floors, and we only had half an hour. So I took like, three photos so I’m not too sad. 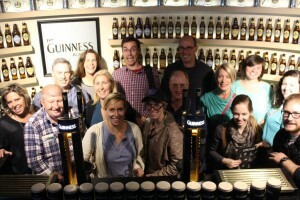 Not going to lie, I have no idea what was there because we ran to one part: the Guiness Academy. There you learn to pour the perfect pint of Guiness and have to pass the test. The drink can not spill, and had to have the perfect consistency. Several of us took part in this because at the end you recieve a certificate with your name saying you passed the test. And yes, I still have it. …Plus another thing. You see, Guiness is poured into a special cup. We really liked the cups and felt that it was a shame that to leave them behind. You can take them if they’re empty but Guiness is disgusting so I didn’t want to drink motor oil for a cool cup. The other option is buying one, and seeing how I already had one I refused. So I went to the bathroom and poured it down the sink. Some Italian girl was watching me do this but I didn’t care. I wanted the magical cup for myself. Anyway, I left the brewery with the cup in hand and was quite pleased. Following this the literature class headed to the National Library. There is currently an exhibit on William Butler Yeates. It was a nice exhibit, but I didn’t spend much time there because we were starving (it was 2 and we hadn’t eaten yet). So we ran through the exhibit and went to go get dinner/lunch. This all happened right next to Trinity College, where I spent the first day so I knew a few places. We ate at a nice pub before doing some shopping. As we walked around, we found a sign for Riverdance which was showing tonight. So, for 20 euro, we bought tickets and hung around and shopped until it was time for the show. 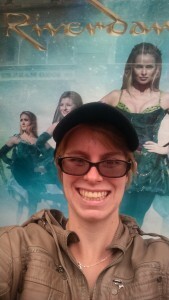 My only other experience with River Dance is from elementary school when we watched a video. I found it…interesting and wondered what it was like in person. Well, it’s loud. Bagpipes and drums are the insturments of choice and you could feel the floor shake from them. The dancers shoes are very loud as well, which I know is the point but still gave me a headache. The whole show was very flamboyant (they love sparkles) and over the top which may have had something to do with their 20th aniversary being this year. Not to mention, it was two hours long. We had to leave after the first hour to take the bus back to the school but that was more than enough Riverdance for me. Tomorrow we’re traveling more and hopefully my camera will work then.